Corrosion protected screws suitable for wooden decking. Features a small cylindrical head for a better appearance. CUT point ensures exact screw positioning, reduces splitting and reduces the screwing-in torque required. Fixing thread holds the deckboard in place. Countersinks easily. T-STAR plus bit recess gives a secure fit and better driving. 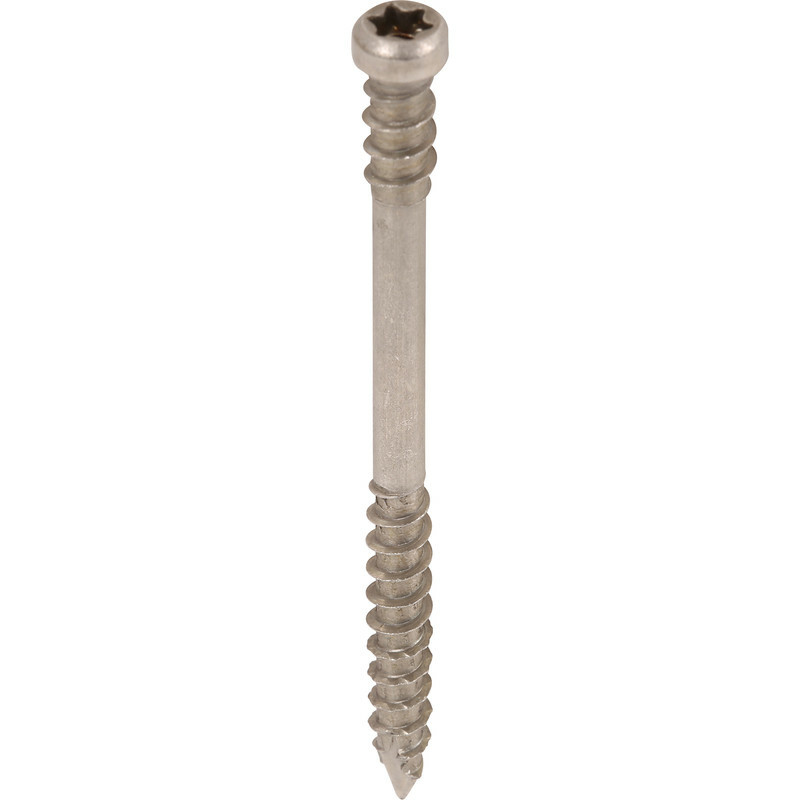 SPAX A2 Stainless Steel T-STAR Plus Decking Screw 5.0 x 80mm (100 Pack) is rated 5.0 out of 5 by 1. Rated 5 out of 5 by Madbuild from Great product. I bought these to fix down an oak deck. I used around 250 screws and every one went in perfectly. The stainless screws are expensive compared to the normal deck screws, but hopefully will be worth it. Only time will tell! I have given 5 stars for the reliability of the screws based on their performance in use. Obviously I don't know how long they will last.